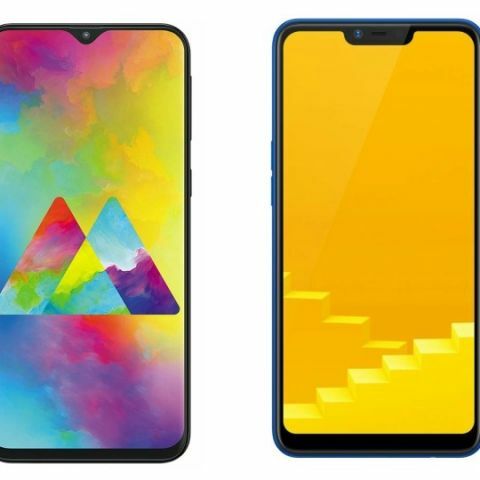 Recently, Samsung has launched two new budget devices in India Galaxy M20 and Galaxy M10. Both of these devices are priced under Rs 15,000. 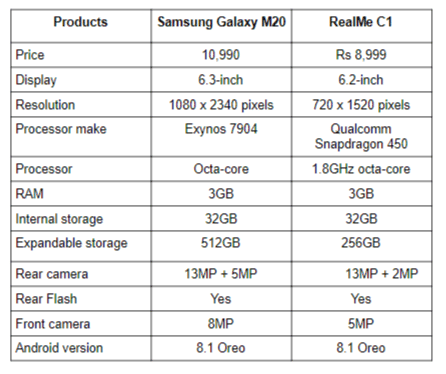 Among these two - the Galaxy M20 is the premium one, which is starting from Rs 10,990 in India. It is launched in two variants 3GB/32GB and 4GB/64GB storage models. On the other hand, we have the RealMe C1 2019 model, which is quite a popular device in the budget segment. So, let’s begin with a quick specs comparison of the two to know which device would be the right buy for you in terms of hardware at least on paper. When it comes to the processor, the Samsung Galaxy M20 is powered by an Exynos 7904 octa-core processor, which is coupled with 3GB RAM and 32GB internal memory. On the other hand, the RealMe C1 is backed by a Qualcomm Snapdragon 450 octa-core processor, which is paired with 3GB RAM and 32GB internal memory that is expandable to up to 256GB via a microSD card. The Galaxy M20 is also available in 4GB/64GB variant in India, which is priced at Rs 12,990.